I know this statement may generate a lot of comments, but here goes, a Slow Cooker and a Crock-Pot are the same thing. Just like we call a tissue, a Kleenex, we call a slow cooker, a Crock-Pot. Crock-Pot, was originally a trademarked name of the Rival Company. The Crock-Pot was introduced to the American kitchen in 1971 and we fell in love with it! 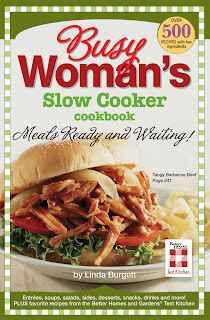 I like to use my Slow Cooker all year long, but it seems I use it more in the fall and winter months. I love to come home on a cold day and open the door to my kitchen and be meet with the warm delicious aroma, of a home cooked meal, ready and waiting for me in my Slow Cooker. My new cookbook, Busy Woman's Slow Cooker Cookbook, is not for sale yet, but below are a few tips from the book. Cooking time in all recipes are approximations, affected by how much food is in the cooker, humidity, the temperature of the ingredients when you add them; so note that cooking times in the recipes are ranges only. To make cleanup easier, spray the inside of the slow cooker with non-stick cooking spray before adding food. If a recipe calls for a meat to be browned, brown it in a skillet. The recipe will be better, it will enhance the flavor and decrease fat. A Slow Cooker is great for tougher cuts of meat. It is usually better to thaw meat before placing it in the Slow Cooker. It will cook faster. Fill the Slow Cooker between 1/2 and 2/3 full. Add root vegetables to the Slow Cooker first, then add the meat. Root vegetables cook slower than meat. Cut vegetables into smaller pieces to ensure proper cooking. Don't remove the lid during cooking unless a recipe calls for it. Every time you lift the lid you will slow the cooking time by 20 to 30 minutes. Don't leave food in the Slow Cooker. Remove food within one hour. Don't reheat food in a Slow Cooker because it takes too much time for food to reach a safe temperature. Don't add water to clean the Slow Cooker until it has cooled. Don't use metal utensils; use rubber, plastic or wood to avoid damaging interior of the Slow Cooker. This month I am giving away 4 cookbooks! Three Iowa State Fair Cookbooks! I will be drawing a name from my followers to win four cookbooks, this Friday, October 1st. The contest is open to all of my followers, regardless of where they live. If your name is drawn and you have a blog, I will mention your blog address on my "Fast Food Fridays" radio show on the The Passion Radio Network, and then post your blog address on my blog. Preheat oven to 350 degrees. In large bowl, combine eggs, butter, and caramel topping. Mix well. Add cinnamon chips and pecans. Mix well. Pour into 4, 8 ounce buttered ramekins. Bake 25 minutes. In large bowl, combine sugar, Nutella, and cheese cake complete. With an electric mixer, beat for 5 minutes. Gently fold in 2 cups of whipped topping. Pour mixture into pie shell. Refrigerate for at least 1 hour. Before serving, spread remaining whipped topping over top of pie. Garnish with chocolate shavings if desired. and Gina Kohrs (1st Place). The final contest I judged this summer, was the Quick and Easy Dessert Contest, at the Clay County Fair. You do the judging in front of an audience. As you look out over the sea of faces, you can spot the people who have entered the contest. The stress, anxiety, and hope of winning, is stamped on their faces. Picking a winner is so hard! There are so many great cooks who enter the contests. The three winners here, out did themselves! I plan to make each and every recipe in this post. The Frozen Harvest Pie, will be on my Thanksgiving table. It is a rich and creamy pie that is sure to please my family. My mom is making the, Cinnamon Caramel Pecan Bake, this weekend. That recipe reminds me of pecan rolls. And I am making the, Chocolate Hazelnut Pie, for the upcoming potluck at our church. The smooth chocolate flavor, will win over anyone who does not like Nutella. I will be drawing a name from my followers to win four cookbooks, on Friday, October 1st. The contest is open to all of my followers, regardless of where they live. If your name is drawn and you have a blog, I will mention your blog address on my "Fast Food Friday's" radio show on the The Passion Radio Network, and then post your blog address on my blog. 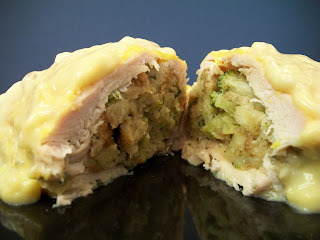 Also check out my friend Pam's blog, Pam's Midwest Kitchen Korner, for more great recipes! Once you read her blog, she will be your friend too! Pam is also doing a CSN Giveaway on her blog for a $65.00 gift certificate. After seven wonderful weeks of travel, promoting my cookbooks, doing cooking demos, judging cooking contests, and doing radio interviews, I am flying home on Wednesday. To celebrate the end of a successful and busy summer of travel, I will be giving away four cookbooks. 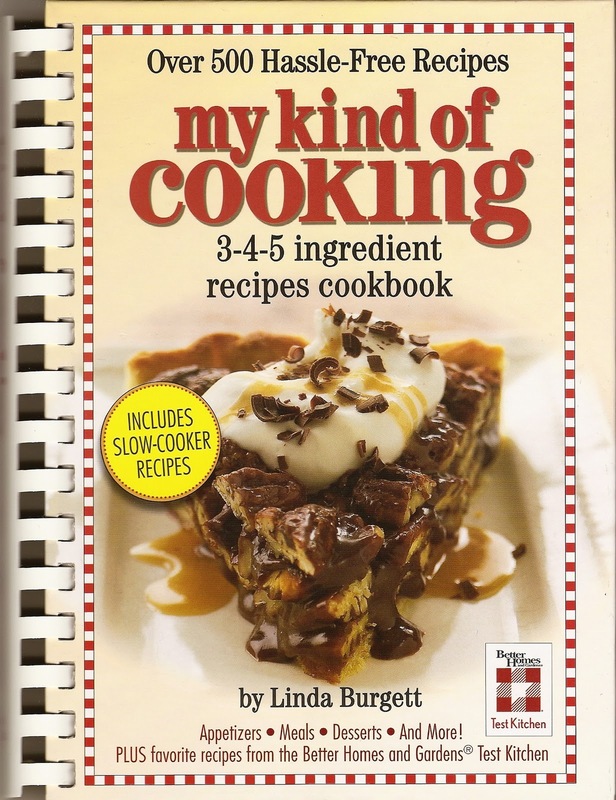 When I was at the Iowa State Fair, I purchased three cookbooks containing prize winning recipes from the contests at the fair. I will also give away a copy of, MY KIND OF COOKING COOKBOOK. 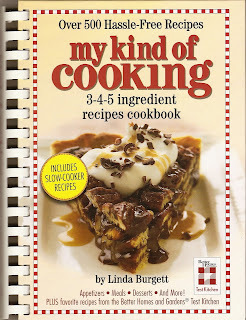 I will be drawing a name from my followers to win the four cookbooks, on Friday, October 1st. The contest is open to all of my followers, regardless of where they live. If your name is drawn and you have a blog, I will mention your blog address on my "Fast Food Friday's" radio show on the The Passion Radio Network, and then post your blog address on my blog. the Quick & Easy Dessert contest at the Clay County Fair. Preheat oven to 350 degrees. Lightly coat wonton wrappers with cooking spray. Press wonton wrappers into mini muffin cups. In small bowl, combine cream cheese and crab. Mix well. Spoon mixture into wonton wrappers. Top with sweet and sour sauce. Bake 8 to 10 minutes or until golden brown. I love to go to a Chinese restaurant and order Crab Rangoon. This baked version is so easy to make and has all the flavor my local restaurant has, but without the hassle of trying to fold them up and deep fry them. When I have deep fried them in the past, the filling in some of the Rangoons would spill out, leaving me with empty wonton wrappers. With this recipe, each one comes out perfect every time! The Clay County Fair is winding down. radio interview with George on 107.7 KICD-FM. Then on Sunday, it is all over. I am going to feel just like the little fair goer, come Sunday! The Clay County Fair, is one of the largest county fairs in America. The fair is located in Spencer, Iowa. My day is starting off with another radio interview with George on 107.7 KICD-FM. George is a great interviewer and I always look forward to talking to him! Today is also my last cooking demo. he will come up with a funny caption for it. Below are a few pictures from The Clay County Fair. They have a huge electric train display. the train travels past them. I also love to look at the cake displays. The main thing that people do at this fair is shop! I confess, I got caught up in the shopping frenzy too! My nieces wanted Pillow Pets and being a good aunt, I bought them. to spend his birthday with me. I can't wait to see him! Preheat oven to 400 degrees. Prepare stuffing according to package directions. Add broccoli. Mix well. Pound chicken breasts to 1/4 inch thickness. On each chicken breast, spread stuffing mix. Roll up each chicken breast, place seam down in 13x9 inch baking dish. In small bowl, combine soup and milk. Mix well. Pour over chicken. Bake 30 to 40 minutes. Makes 6 servings. This recipe is a great way to sneak extra vegetables into your diet. And who can't use a few extra veggies? It is a simple recipe but it is packed with a lot of flavor! The soup keeps the chicken nice and juicy and the stuffing adds a savory surprise when you cut into the chicken. I am back in Iowa. On Saturday I will be at the Clay County Fair in Spencer, Iowa. Also on Saturday, I will be doing a radio interview with 107.7 KICD-FM. They broadcast live from the fairgrounds. George has asked me to be his first interview for the fair. I always enjoy being on George's show, he is a great interviewer! On Sunday, I have my first cooking demo. Later in the week, I have another cooking demo and a cooking contest to judge. I will post the winning recipes. when I will be posting pictures from the fair! I spent Labor Day in Florida with my mom and dad and my sister Shelley and her family. Whenever we are together, the conversation naturally turns to food and recipes. We come from a long line of foodies. My great grandmother taught adult education cooking classes and my mom is a best selling cookbook author. My sister's girls, were very interested in the cooking contests at the Iowa State Fair. One of the questions they asked me was, if all the recipes I judged for the contests tasted good. I hate to say, the answer to that question is, NO! Most of the dishes I tried were delicious, but there were a few that tasted terrible. 1. Always taste what you are cooking. This sounds like a no brainer, but I know some of the dishes I tried in the contests, had not been tasted before they brought it in to be judged. 2. Make something unique or put an unusual twist on a classic dish. This will make your recipe stand out from the crowd. 3. Read the contest rules and follow them exactly. Your recipe can be disqualified if you do not follow the rules. 4. When you are writing your recipe, be sure to list all of the ingredients and amounts used. Make the directions clear and easy to understand. 5. Garnish your dish. We eat with our eyes first. Put it on a pretty plate (check the contest rules) and garnish it with edible items to make it look special. In small bowl, combine jam and 4 tablespoons orange liqueur. In large bowl, combine mascarpone cheese and remaining 2 tablespoons orange liqueur. In another large bowl, combine whipping cream and sugar. Mix with an electric mixer until soft peaks form. Fold into mascaropne cheese mixture. Arrange half of the lady fingers or pound cake in a 13x9x2 inch baking dish. Spread half of jam mixture over lady fingers. Spread half of mascarpone cheese mixture over jam. Arrange half of berries over top. Repeat layering. Cover and refrigerate for at least 3 hours. Makes 8 to 12 servings. Preheat oven to 425 degrees. Line bottom on 13x9 inch baking pan with one can of crescents. In medium bowl, combine cream cheese, 1 cup sugar, vanilla and egg yolk. Mix well. Spread evenly over crescent layer. Spread a thin layer of lemon pie filling over cream cheese. Arrange remaining crescent rolls over pie filling. brush with beaten egg white. Sprinkle remaining 1/4 cup sugar over top. Bake 25 minutes or until golden brown. Preheat oven to 350 degrees. In 2 quart baking dish, place butter. In medium bowl, combine 1 cup sugar, flour, milk, and baking powder. Mix well. Pour over butter. Do not mix. Arrange blackberries over top. Do not mix. Bake 45 to 55 minutes or until golden brown. My publisher asked if I would be interested in being one of the judges for the Successful Farming Magazine dessert contest at the Iowa State Fair. Of course I said yes! I love to judge recipe and cooking contests. A few years ago, my mom judged the Tone's Cinnamon Roll contest. She had to test over 30 entries. To me, that sounds like a dream job, but it wasn't for my mom. They had to try the finalist cinnamon rolls over and over to pick the winners. To this day, my mom has trouble eating cinnamon rolls. She also doesn't like being a judge for recipe contests anymore. I hope that never happens to me, because I really enjoy judging recipe contests. The winner of this month's drawing for my cookbooks, MY KIND OF COOKING and BUSY WOMAN'S SLOW COOKER COOKBOOK, is Mags of The Other Side of 50. Please visit her wonderful blog! for your chance to win next month's drawing!